How long to meditate if you’re just starting out? It’s a common worry among new practitioners because they are not sure if they are doing everything the right way. Meditation is a very unusual activity for the unprepared mind. It makes you sit in one place for a period of time doing nothing but watching your breath. Sounds simple, but for our busy mind, that is a tough task to complete. Usually, when you meditate for the first time, you might notice restlessness in the body, impatience, and boredom. And when that happens 1 minute seems like 5 minutes, and 5 minutes seems like 10. And the whole process feels like an eternity. So you start to wonder how much meditation is enough or can you meditate too much. Don’t worry, I’ve written this article to dispel all the doubts that you might have about how long to meditate for beginners. I found advice given by 8 world-renowned meditation teachers and put them in one place so that you don’t have to play a guessing game anymore. Keep reading to find out what each of them has to say about what is the right amount of time to meditate. Jon Kabat-Zinn is internationally known for his work as a scientist, writer, and meditation teacher engaged in bringing mindfulness into the mainstream of medicine and society. He is Professor of Medicine emeritus at the University of Massachusetts Medical School, where he founded its world-renowned Mindfulness-Based Stress Reduction Clinic (MBSR) in 1979, and the Center for Mindfulness in Medicine, Health Care, and Society (in 1995). “There’s no real prescription, but I would say it’s good to try 15 minutes2: long enough so that you get really bored and antsy and learn how to make room for unpleasant moments. You have to have it be long enough so that you experience a lot of different body and mind states like the discomfort from being still. Then that becomes your teacher instead it being bad or an impediment to being mindful. 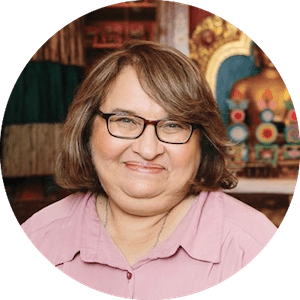 Sharon Salzberg had played a crucial role in bringing meditation and mindfulness practices to the West and into mainstream culture since 1974 when she first began teaching. She is the co-founder of the Insight Meditation Society in Barre, MA and the author of ten books including NY Times bestseller, Real Happiness, her seminal work, Lovingkindness, and Real Love. “Usually, when people start sitting, we say that 5 minutes is enough3. You don’t have to think, “I’ve got to sit here for six hours.” You don’t have to get into some pretzel-like posture and suffer! Just choose an object of awareness—maybe the breath—and rest your mind there. You know that it’s not going to be 9,000 breaths before your mind wanders. It’ll likely be one. Maybe three, maybe just a half a breath! Jack Kornfield trained as a Buddhist monk in the monasteries of Thailand, India, and Burma. 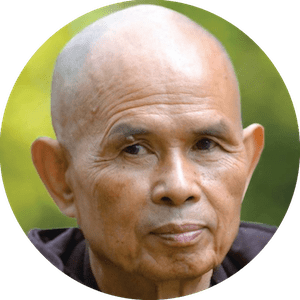 He has taught meditation internationally since 1974 and is one of the key teachers to introduce Buddhist mindfulness practice to the West. Joseph Goldstein has been leading insight and lovingkindness meditation retreats worldwide since 1974. He is a co-founder of the Insight Meditation Society in Barre, Massachusetts, where he is one of the organization’s guiding teachers. In 1989, together with several other teachers and students of insight meditation, he helped establish the Barre Center for Buddhist Studies. “To start with I think it’s good to set an amount of time that you feel workable, that inspires you to do it, that is not going to feel too daunting. So people could choose almost any amount of time. It can be 20 minutes or half an hour5. The important thing is the regularity of it. Pick an amount of time that you really feel committed to doing every day. It’s the everyday-ness that is going to build the practice. Tara Brach has been practicing and teaching meditation since 1975, as well as leading workshops and meditation retreats at centers throughout North America and Europe. She is the founder of the Insight Meditation Community of Washington (IMCW) and the author of Radical Acceptance (2003) and True Refuge (2013). “Deciding in advance the duration of your sit can help support your practice. For many, a good time frame is between 15-45 minutes6. If you sit each day, you’ll gradually experience noticeable benefits (e.g., less reactivity, more calm) and be more inclined to increase your sitting time. Eckhart Tolle is a spiritual teacher and the author of the #1 New York Times bestseller The Power of Now and the highly acclaimed follow-up A New Earth, which are widely regarded as two of the most influential spiritual books of our time. “It needn’t take long. 10 to 15 minutes of clock time should be sufficient7. Make sure first that there are no external distractions such as telephones or people who are likely to interrupt you. Sit on a chair, but don’t lean back. Keep the spine erect. Doing so will help you to stay alert. Alternatively, choose your own favorite position for meditation. Andy Puddicombe is the meditation and mindfulness expert, co-founder of Headspace, which teaches simple, 10-minute meditation techniques to busy professionals. “If it feels like too much time, it probably is. It’s best to approach meditation much like anything else in life: start small, build up slowly and find your own personal sweet spot. For some people, this sweet spot is 10 minutes8 and for others, it’s 60 minutes. So if you compare all the answers given by these teachers, you’ll see that the best meditation duration for new practitioners is between 5 to 15 minutes. In the beginning of my own journey, I aimed at 10 minutes a day. It was enough to calm my body and concentrate my attention on the breath. It also allowed me to become more aware of my negative thoughts and persistent patterns that were causing me much pain and distress. It was the first step, but a crucial one. I’m sure you can do it as well. 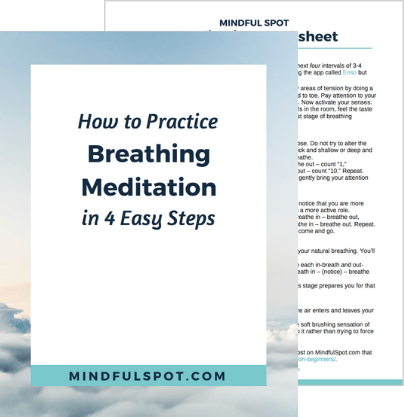 The best technique to start with is breathing meditation. That is why I made this free worksheet that you can download by clicking the button below.